amsbio - AMS Biotechnology (Europe) Ltd is the global supplier of research products and custom services for biological and pharmaceutical research. We offer antibodies, peptides, DNA, RNA, proteins, tissue blocks, arrays, slides, assay kits, cell culture consumables, glycobiology reagents, apoptosis and DNA damage kits, reagents, cell migration, invasion assays, pre-cast gels , zymolyase. AMS Biotechnology (Europe) Ltd your source for life science products and services. We have over 240,000 products in our catalogue. AMSBIO has introduced new CRISPR / Cas9 editing kits for gene knock-out, gene knock-in and gene mutation applications. The latest tool in genome science – CRISPR/Cas9 is a simple and efficient genome editing tool which allows for specific genome disruption and replacement resulting in high specificity and low cell toxicity. AMSBIO announces iMatrix recombinant Laminin-511 E8 fragments, an innovative cell culture matrix compatible with a wide variety of cell types, and exceptionally well suited for pluripotent stem cells. iMatrix recombinant Laminin-511 E8 fragments is an innovative cell culture matrix compatible with a wide variety of cell types, and exceptionally well suited for pluripotent stem cells. AMSBIO announces the launch of a new service for synthesis of custom-designed, highly modified mRNAs prepared by an advantageous in vitro transcription methodology. AMSBIO announce the addition of mutation cell line Formalin-Fixed Paraffin-Embedded (FFPE) samples and isolated genomic DNA (gDNA) controls to its extensive range of cell line reference standards. AMSBIO has announced a new range of CD47-relevant products suitable for rapid high throughput screening studies. AMSBIO announces the availability of StemFit® Basic02feeder-free stem cell culture media. AMSBIO announces its sponsorship of the 'Discovering Organoids: Establishment, Culture & Manipulation’ hands-on training course due to be hosted at Homerton College, University of Cambridge, UK, on 11th and 12th September 2017. AMSBIO announces the launch of a new Hyaluronic Acid Quantification Kit, based on a highly specific and tightly binding protein to detect and measure Hyaluronic Acid, also known as Hyaluronan or HA. AMSBIO announces the launch of DermaChip® - a new high throughput assay technology that allows scientists, for the first time, to reliably measure the genotoxic risk of a whole range of environmental agents (including cleaning agents, household products and industrial chemicals as well as cosmetics) to our skin. AMSBIO has introduced a range of purified cancer exosome samples to help researchers study the role of exosomes in cancer development and metastasis. AMSBIO announces its new generation laboratory benchtop sterilizer - the CoolCLAVE™ Plus. AMSBIO offer a wide range of products for IDO pathway research, including cell lines, assay kits and active proteins to be used in IDO pathway research (IDO1, IDO2 and TDO genes). AMSBIO has introduced a new range of ready-to-use Reporter Lentivirus for assessing cell signaling activities in virtually any mammalian cell type. AMSBIO reports on an independent study that evaluated the use of CELLBANKER® and STEM CELLBANKER® reagents for cryopreservation and thawing of organoids. AMSBIO reports how, using its Mimetix® aligned 3D cell culture scaffold, researchers at the MRC Centre for Regenerative Medicine, University of Edinburgh (UK) have created a high throughput myelination assay that shows great promise as a model for research into Multiple Sclerosis. AMSBIO has announced the launch of its new cfPure™ Cell Free DNA Purification Kit for scalable and automation-friendly isolation of circulating cell-free DNA (cfDNA) from patient serum or plasma samples. AMSBIO has published a new 36-page catalogue that details its comprehensive range of high purity reagents for proteoglycan and glycosaminoglycan research. AMSBIO has published a new 25-page Neuroscience catalogue that details its extensive range of specific tools and reagents to enable researchers stay at the forefront of their field. AMSBIO announce a new range of ready-to-use adeno-associated virus (AAV) biosensor products. AMSBIO offers an extensive range of proteins, antibodies, assays and kits covering every single target of major cellular metabolic pathways including folate metabolism, pyruvate metabolism (with and without oxygen), citrate metabolism, O2 consumption and toxicity, oxidative stress and fatty acid oxygen measurement. AMSBIO has introduced the MitoXpress® Xtra Fatty Acid Oxidation (FAO) kit to facilitate the convenient measurement of FAO-driven respiration. AMSBIO reports on the recent publication in Nature Protocols by Dr Meritxell Huch and co-workers which describes development of culture conditions that allow the long-term expansion of adult primary tissues from the liver and pancreas into self-assembling 3D organoid cultures. AMSBIO announces a suite of high quality proteins and biotinylated proteins for research into killer-cell immunoglobulin-like receptors. AMSBIO has expanded its wide and varied catalogue of primary and progenitor cell types and media with a new range of human endothelial progenitor cells (EPC). AMSBIO announces an extended and updated edition of its popular Organoid Culture Handbook. AMSBIO has launched a comprehensive selection of products for Wnt signaling research including recombinant proteins, stable reporter cell lines, polyclonal antibodies and ELISA assay kits. AMSBIO has produced a new 24-page guide that brings together applications, protocols, results and citations to provide an informative resource for researchers using heparan sulfate antibodies. AMSBIO announces MagSi-DNA Vegetal - a powerful kit that enables efficient extraction of genomic DNA from plant tissue. AMSBIO has introduced Cultrex® Organoid Progenitor Cells that have been derived from normal, healthy mouse small intestine tissue and are continuously cultured using Reduced Growth Factor BME R1 and BME 2. Anglo-American life science firm AMSBIO announces a new range of recombinant antigens and antibodies for Zika virus, which are suited for the development of rapid assays and to overcome the problem of cross-reactivity with related viruses. AMSBIO has introduced new CRISPR gRNA Lentivector Cloning Kits that provide scientists with a targeted and precise genomic gene editing methodology. AMSBIO has launched a range of new TIGIT receptor products including a Jurkat cell line, Homogeneous assay kits and recombinant proteins for immunotherapy research. AMSBIO has introduced a wide selection of new high quality products for exosome research. AMSBIO has introduced MitoXpress® Intra, a novel intracellular oxygen assay based on a 96 or 384-well fluorescence plate reader-based approach that facilitates the real-time assessment of transient changes in cell respiration, oxygen gradients and physiological responses across a range of cell models. AMSBIO has introduced two new products to assist the increasing number of scientists adopting organoid culture as a physiologically relevant model for organ development. AMSBIO has launched the 96-Well CometChip® System - a high-throughput platform developed to simultaneously treat and measure DNA damage induced by different treatments, or among different cell types on a single slide using the Comet assay. AMSBIO has released a new 16-page practical guide that provides a detailed overview on how blockers can be used to reduce non-specific binding in immunoassays. AMSBIO announces an extensive range of primary human cancer cells obtained directly from a variety tumor types, including breast, colon and prostate. AMSBIO has announced two new additions to itsMagSi rangemagnetic bead-based products for protein purification, proteomics, and genomics applications. AMSBIO announces the availability of the world's first kit to differentiate human pluripotent stem cells into functional myotubes. AMSBIO announces the launch of the Oris™ 3D Embedded Invasion Assay – a unique product offering quantifiable real-time analysis of cell invasion. AMSBIO announces an extensive collection of recombinant Fc receptor proteins, including their common variants, to help accelerate the development of therapeutic monoclonal antibodies (mAb). AMSBIO has assembled an extensive collection of autophagy antibodies. AMSBIO has launched a comprehensive collection of pre-packaged human full-length cDNA ORF and miRNA adenoviruses. AMSBIO offers a comprehensive range of more than 54,000 lentivirus for shRNA delivery. AMSBIO has launched DNA-In® CRISPR – an innovative transfection reagent that simplifies and accelerates genome editing using large plasmids and difficult-to-transfect cells for life science researchers generating disease models. AMSBIO has announced the introduction of a range of Recombinant Prokaryotic Lectins (RPLs). AMSBIO has launched a unique series of monoclonal and polyclonal antibodies against S-adenosylmethionine (SAM) and S-adenosylhomocysteine (SAH) that allows immunoassays to be used in methylation regulation research. AMSBIO has announced a new PD-1 (Programmed Death) inhibitor screening assay kit for cancer research studies. AMSBIO has announced the launch of Mimetix® 3D cell culture scaffolds that offer significant advantages for a range of applications including regenerative medicine, oncology research, drug discovery, and as a unique aligned scaffold for neural growth and investigation. AMSBIO has announced the launch of PATHM2 small molecules libraries for small scale screening in developmental biology and discovery research. AMSBIO has introduced an expanded range of Adeno-associated virus (AAV) cloning and packaging services. AMSBIO announces the launch of CellMax™ - a new range of high quality, consistent and affordable cell line FFPE slides. AMSBIO announces that Belgian researchers** have cited use of BioPORTER Protein Delivery Reagent to introduce Tau seeds into HEK293 cells. AMSBIO announces that Belgian researchers have cited use of BioPORTER Protein Delivery Reagent to introduce Tau seeds into HEK293 cells. AMSBIO has launched a new range of human exosomes to the regenerative medicine tools and technologies market. AMSBIO has announced the launch of GMP grade STEM-CELLBANKER® manufactured in strict compliance with Japanese, EU, US, and PICS good manufacturing practice guidelines. AMSBIO reports on a study, published in Cell, that demonstrates the power of organoids to capture, in three dimensions, the multiple mutations that occur in tumours. Available from AMSBIO TrueORF® cDNA clones are tagged cDNA clones for protein studies. AMSBIO reports on a study, published in Cell (1), that demonstrates the power of organoids to capture, in three dimensions, the multiple mutations that occur in tumours. AMSBIO has launched a complete new range of commonly used human cytokines and growth factors. AMSBIO has launched a new and exclusive biotinylated protein collection specially designed to simplify your research. AMSBIO has launched, at the ‘Frontiers in Stem Cells & Cancer' EMBL-EMBO Symposium, a guide that illustrates a variety of organoids grown from different tissues by leading international research groups using BME 2 reduced growth factor extracellular matrix that is available from the company. AMSBIO has announced a new range of purified, soluble immunoreceptors involved in key signalling pathways. AMSBIO announces the launch of mRNA-In™ and mRNA-In™ Neuro – a new range of high efficiency, targeted transfection reagents. AMSBIO reports on the recent publication in Cell  by Dr Meritxell Huch, Prof Hans Clevers et al. of ground-breaking research using Cultrex BME2 reduced growth factor (organoid growth matrix) to enable long-term (>1 year) culture of genome-stable bipotent stem cells from adult human liver. AMSBIO has announced the availability of ultraspecific and extensively validated monoclonal antibodies under the UltraMAB™ brand. AMSBIO announces DNA-In™ Neuro - a new generation transfection reagent developed specifically for maximum nucleic acid delivery into neurons, typically achieving a 2-fold or greater improvement in efficiency over currently available competing reagents. AMSBIO has announced several products suitable for the development of an ELISA detection assay for the Ebola virus. AMSBIO announces MagSi-Direct - a revolutionary technology that brings the power, simplicity, and convenience of magnetic separation to researchers involved in cell biology, protein chemistry, flow cytometry, diagnostics development and many other fields. A new application note from AMSBIO, previously presented at both the 2014 Beatson International Cancer conference and the ELRIG Drug Discovery 2014 meeting in Manchester UK, introduces a more predictive and realistic model for early stage drug screening of cancer therapeutics. Drawing upon over 20 years’ experience - AMSBIO has developed a custom phospho-specific antibody production service that is both reliable and produces high quality product. AMSBIO announces MagSi-NGSPREP- a magnetic bead based tool that offers an efficient solution for DNA clean-up and size selection in Next Generation Sequencing (NGS)applications. AMSBIO offers an extensive range of iPSC derived neural cells including normal and Alzheimer's disease neural progenitor cells, and cerebral cortical neurons. The Ozilla™ from AMSBIO is a new high quality, purpose-built ozone gas generator. AMSBIO announces the introduction of CRISPR/Cas9 - a full gene editing tool designed to produce a genetically modified cell using any mammalian cell line and targeting any gene. BioPORTER® Protein Delivery Reagent from AMSBIO is a unique lipid formulation that allows direct translocation of proteins into living cells. Drawing upon a wealth of experience of working with a wide range of 3D cell culture procedures and formats - AMSBIO has produced an extensive 48-page handbook for research scientists looking to culture cells in more physiologically relevant environments. AMSBIO announces ClioCell™ an ex-vivo device for removal of dying and dead cells, improving viability and quality of cell populations and their subsequent productivity. The system comprises super-paramagnetic nanoparticles which have been coupled with proprietary elements that bind to dead and dying cells and cell debris. The resultant product selectively initiates dead-cell removal, emulating dead-cell clearance mechanisms which operate in-vivo to keep tissues functioning optimally. This technology is step-changing, providing new opportunities to optimise cell growth, culture and storage. AMSBIO Lipidure®-Coat low adhesion plates and dishes are shown in cited research to be one of the most effective tools for state-of-the-art 3D spheroid cell culture. These new plates and dishes are available in 384-well format optimised for drug screening or other high throughput applications. A new range of animal-free and endotoxin-free growth factors and cytokines, tailored to stem cell research, has been launched by AMSBIO – a leading supplier of recombinant proteins. Presented by Dr Elad Katz, a senior scientist at AMSBIO, a new on-demand webinar explores the potential of 3D cell-based models for regenerative medicine and drug discovery. 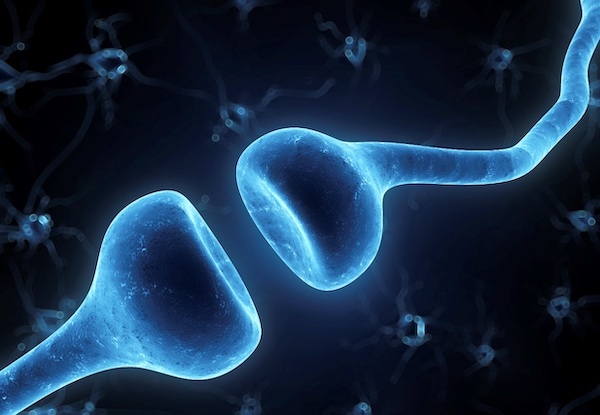 Developed as an alternative to B27® * - GS21 from AMSBIO is a next generation serum-free neural media supplement, based on the formulation of NS21 Supplement, designed to improve the overall growth and performance of primary neurons. AMSBIO has announced a new on-demand webinar entitled 'CometAssay: Detecting single and double strand DNA breaks in individual cells'. AMSBIO has announced addition of new biotinylated histones and nucleosomes to its expanding range of recombinant nucleosomes, purified nucleosomes and full length histone proteins. AMSBIO has announced that it has reached agreement with Sanguine BioSciences, abiotechnology company enabling personalized medicine research, to distribute and support its products and services throughout Europe. AMSBIO, a provider of cutting-edge life science technologies and services for accelerating discovery in cancer research, has continued its sponsorship of the annual poster prize at the Beatson International Cancer Conference (7th -10th July 2013). AMSBIO offers a range of kits and reagents for the extraction (isolation) of high quality RNA from FFPE tissues and LCM samples that can be used not only for PCR but also microarray applications. AMSBIO has announced further expansion of its tissue biorepository and collection services to now include blood products from human donors with auto-immune and neurological conditions. AMSBIO has announced a new range of Aptamer Protein Precipitation Kits that bind with unmatched high specificity and affinity to target molecules. 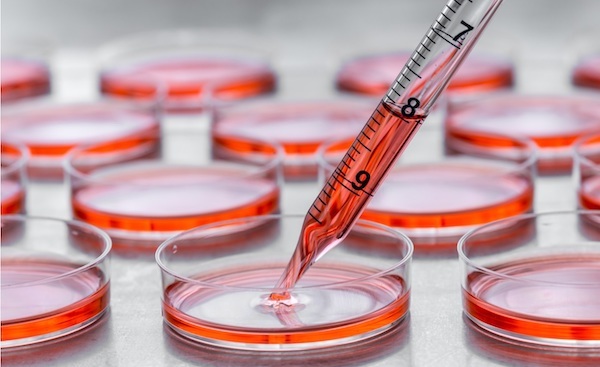 STEM CELLBANKER® from AMSBIO is a chemically defined freezing medium with optimised formulation for stem cells and iPS cells storage as well as other valuable cells. AMSBIO has introduced a new range of 96-well format 3D Spheroid Cell Proliferation / Viability Assays, providing a new tool to allow cell-based assays to be carried out in 3D. Improved cryopreservation of human hepatocytes Aug 13, 2012 A recently published article from researchers at the Karolinska Institute details an improved protocol for cryopreservation of primary human hepatocyte using STEM-CELLBANKER® cryopreservation solution from AMSBIO. PMBC's offer high survival and recovery rates Jul 24, 2012 AMSBIO has introduced the ImmunoPureTM range of peripheral blood mononuclear cells (PBMCs) supplied in proprietary reagents that ensure high survival and recovery rates. On-demand webinar discusses latest advances in 3D Cell Culture technology Jul 16, 2012 AMSBIO, a supplier of advanced 3D tools to the life science community, recently participated in a '3D Cell Culture in Drug Discovery and Disease Modeling' webinar. Due to huge demand, the webinar which aired on 22nd May, has been reproduced in an on-demand version. Stable Cell Line Generation Using Lentivirus Jul 3, 2012 AMSBIO has announced a fast service for custom generation of high quality, affordable over-expressing or knockdown stable cell lines. AMSBIO's custom generation of stable cell lines includes cloning the gene or shRNA of interest into a safe lentiviral vector, generating the lentivirus and transducing into the cell line of your choice. The service allows you to choose a constitutive or inducible promoter, a tag, an antibiotic selection marker and a fluorescent marker. The ease of providing your target templates or choosing one from AMSBIO's cDNA collection ensures rapid turnaround. Proliferation Assays Ease Downstream Applications of 3D Cell Culture Jun 14, 2012 AMSBIO has announced a new range of 3D proliferation assays that make downstream applications of 3D cell culture easier. Pluripotent Stem Cell Line Assessment qPCR Kit Jun 29, 2011 AMSBIO has announced the launch of the PluriPCRTM Kit, a new benchmark to revolutionize the definition of stem cell pluripotency. The PluriPCR kit has been designed as a quantitative, easy to use, and reliable assay of five genes strongly specific to pluripotency. These genes: Oct-3/4, Nanog, DNMT3b, Dppa4, and Rex1 are expressed by human embryonic stem cells (hESC) and induced pluripotent stem cells (iPSC); all are sharply down-regulated during differentiation. Knockdown Cell Lines for DNA Repair Studies Mar 2, 2011 AMSBIO has announced a new range of highly efficient knockdown cell lines covering the Base Excision DNA Repair pathway. The new range of 20 DNA Repair Knockdown cell lines was developed to enable scientists to study the molecular etiology of tumour genomic instability and to exploit it in oncology research. The AMSBIO DNA Repair Knockdown cell lines are based upon target-specific LN428 glioblastoma shRNA lentivirus transduced cells that are rigorously qualified and mycoplasma free. Animal-free Preparation of Human Serum Albumin Jan 25, 2011 AMSBIO has announced the launch of ecoHSA - an animal-free preparation of the human albumin gene produced in the seeds of Asian Rice (Oryza sativa). Commercial human albumin proteins extracted from plasma have multiple and invaluable uses in cell culture work. Extensive Range of Purified Full Length Human Proteins Jan 4, 2011 AMSBIO is now able to offer a range of over 4,000 full length affinity purified human proteins expressed in HEK293 cells and derived using an extensive collection of human cDNA clones. The new range is currently the broadest offering of human proteins produced in human cells. It has been prepared to ensure optimal preservation of protein structure, post-translational modifications and functions. Kits for Accurate and Reproducible mRNA Amplification Dec 9, 2010 ExpressArt® mRNA Amplification Kits from AMSBIO offer an elegant technological solution for qRT-PCR and gene expression array studies that overcomes the limitations of sample quality and quantity. ExpressArt® technology allows reproducible and precise analysis of challenging samples including Formalin-Fixed Paraffin-Embedded (FFPE), laser captured micro-dissections, needle biopsies, and circulating tumor cells. Kits for improved nucleic acid recovery from FFPE samples Nov 23, 2010 AMSBIO has announced new kits for the isolation of high quality RNA from Formalin-Fixed Paraffin-Embedded (FFPE) tissues and LCM samples that can be applied both to qRT-PCR and a variety of microarray platforms. Selection Guide for Apoptosis Assay Kits & Reagents Oct 26, 2010 AMSBIO has announced an expanded range of assay kits and reagents for the detection and analysis of apoptosis. A new selection guide has been created by AMSBIO to provide researchers with a quick and easy way to identify and select the best tools to measure apoptosis. New Cell Migration Assay Dramatically Reduces Cost Of High Content Screening Oct 18, 2010 AMSBIO has announced the launch of the first of a new generation of cell migration assays designed specifically for fully automated high throughput screening (HTS) utilizing high content screening (HCS) and high content imaging (HCI) systems. Specialist in high purity reagents for glycobiology and glycoanalysis - AMSBIO - has announced a number of new and unique kits for proteoglycan research. Optimised E.coli Strain Expresses Insoluble Proteins In Soluble Form Sep 30, 2010 AMSBIO has announced Solu BL21TM Competent E. coli, a significantly improved BL21 host strain for soluble mammalian protein expression. Using a directed evolution approach, a mutant strain of BL21(DE3) E. coli has been developed that can produce soluble protein in the majority of cases where expression in the parent BL21(DE3) yielded no detectable soluble product. Standardized Comet Assay System Ensures Reproducible Results Aug 31, 2010 The CometAssay® Electrophoresis System and new CometAssay® Neutral Control cells from AMSBIO enable investigators to consistently optimize neutral Comet assays for highly reproducible results, and to standardize neutral electrophoresis methods between individual users and laboratories. Ready-to-Use Gene Delivery Tools Aug 25, 2010 AMSBIO has announced a new range of expression ready lentiviral particles that allow easy gene delivery into hard to transfect cells including primary cells, non-dividing cells and cells in suspension. AMSBIO-New Magnetic Beads Enable Faster Protocols Aug 10, 2010 AMSBIO has announced a new range of MagSi magnetic beads that incorporate a novel ferro fluid to combine the advantages of small beads and large surface with the magnetic performance and strength of larger beads. New Magnetic Beads Enable Faster Protocols Jul 21, 2010 AMSBIO has announced a new range of MagSi magnetic beads that incorporate a novel ferro fluid to combine the advantages of small beads and large surface with the magnetic performance and strength of larger beads. 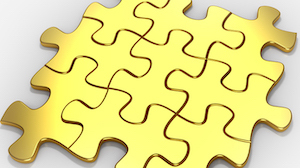 Homogeneous Assay Kits Minimize Assay Complexity Jun 30, 2010 AMSBIO has released 4 new homogeneous 384-well format AlphaScreen assay kits - JMJD2A, JMJD2B, JMJD2C, PRMT5 and G9a (a histone methyltransferase). New Kits for Assessing Oxidative Stress Jun 24, 2010 AMSBIO has announced an expanded range of assay kits for the detection and quantification of oxidative stress biomarkers and antioxidants. Tools to Study Genomic Instability Jun 8, 2010 AMSBIO has announced a new second generation PARP in vivo Pharmacodynamic Assay that accurately measures net poly (ADP-ribose) (PAR) levels in cellular extracts and has been used to document differences in PAR levels in human tumour lysates from a variety of tissues, organs and xenografts. Comprehensive Biorepository of Genomic & Proteomic Tissue Products May 25, 2010 AMSBIO offers a comprehensive range of certified tissue products for genomic and proteomic research including genomic DNA, cDNA, RNA and protein. Highly Reproducible Gene Delivery for Stem Cell Research May 10, 2010 AMSBIO have announced a range of ready-to-use lentivirus supernatant products suitable for many kinds of gene delivery applications including stem cell research. Non-Animal Recombinant Proteins for Cell Culture & Tissue Engineering Applications May 4, 2010 AMSBIO has announced a new range of recombinant proteins that can substitute extracellular matrix proteins that are currently extracted from mouse sarcoma. Easy and Economic Generation of Functional siRNAs Apr 22, 2010 The Turbo Dicer siRNA Generation Kit from AMSBIO enables easy and cost-effective generation of a large number of small interfering RNAs (siRNAs) from full-length target genes. Highly Reproducible Gene Delivery Apr 8, 2010 AMSBIO have announced a range of ready-to-use lentivirus supernatant products suitable for many kinds of gene delivery applications including mammalian protein expression, stable cell line construction, cell signal pathway localization and stem cell research. Sensitive & Specific anti-DDK Antibody for FLAG Epitope Tagging Mar 18, 2010 AMSBIO has announced 4C5 - an anti-DDK monoclonal antibody for the detection of DYKDDDDK epitope - the same protein sequence as FLAG-tag*. Assay Kits for Measuring the Complete Range of HDAC Enzymes Feb 15, 2010 AMSBIO has announced 2 new histone deacetylase (HDAC) cell-based assay kits that provide an easy tool for studying the activity and inhibition of the full range of HDAC enzymes (1-11). 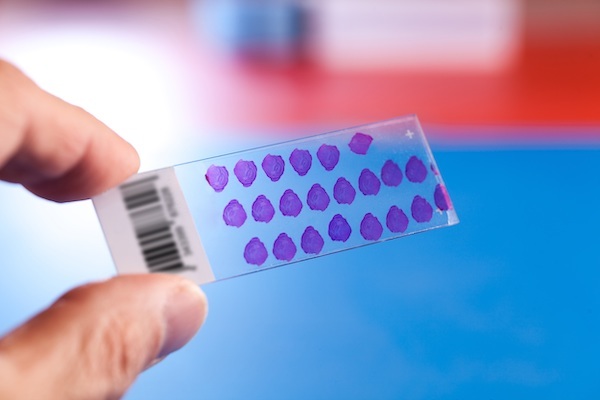 Rabbit Monoclonal Antibodies for Immunohistochemistry Feb 5, 2010 AMSBIO has announced a new portfolio of rabbit monoclonal and polyclonal antibodies for Immunohistochemistry (IHC) applications. A rabbit custom antibody service is also available. 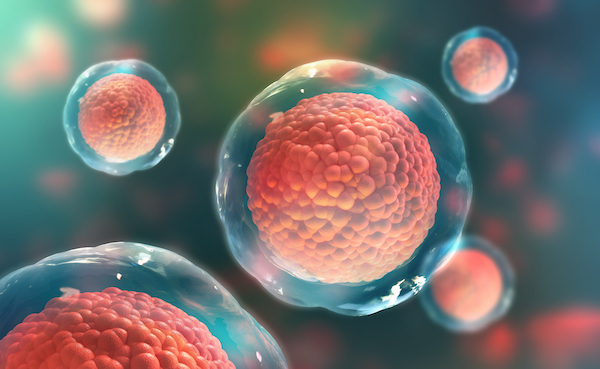 Accelerate Your Cell Migration Research Jan 13, 2010 AMSBIO has announced the addition of the OrisTM Pro Cell Migration Assay to its range of 96-well cell exclusion zone assays for performing cell migration and cell invasion experiments. A Novel HAMA Blocker for Reduction of Immunoassay Interference Dec 18, 2009 amsbio has introduced TRU Block, a highly potent reagent that actively blocks the heterophilic antibody (HA) interference in immunoassays including but not limited to Human Anti-Mouse Antibody (HAMA) interference. Custom Tissue Sections & Microarrays Dec 8, 2009 amsbio offers services for custom acquisition, procurement and preparation of tissue sections and tissue microarrays from a wide range of animal and plant species according to client specification. Standardisation of Direct Detection of DNA Damage In Cells. Sep 27, 2009 Amsbio has announced a novel complete assay system for direct detection of DNA damage in cells which includes CometSlides™, reagents, control cells and an electrophoresis unit.